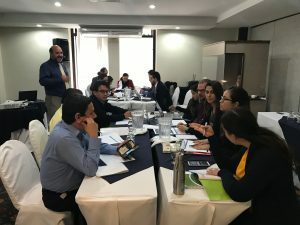 GOBI Partner, Fundación MarViva hosted the first of two workshops to promote the creation of a governance scheme for the portion of the Costa Rica Thermal Dome that lies in areas beyond national jurisdiction. The Dome is an ecologically and economically important oceanic feature in the tropical eastern Pacific Ocean. The workshop took place on 26 & 27 September 2018, in San José, Costa Rica. Attending were representatives from the Ministries of Foreign Affairs and Environment from Guatemala, Honduras, El Salvador and Costa Rica, along with those from the Central American Environment and Development Commission, the Central American fisheries and aquaculture organisation and NGOs. 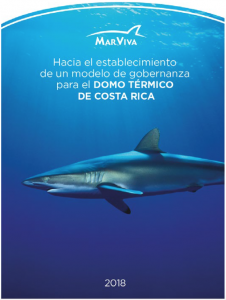 During the workshop, Fundación MarViva released a book [in Spanish] that sets out the road towards establishing a governance model for the Costa Rica Thermal Dome. In doing so, the book also addresses general issues about governance in areas beyond national jurisdiction, lists applicable management tools for the high seas, gives examples governance schemes applied in areas beyond national jurisdiction in other regions of the world, and presents core elements needed for designing a governance scheme for the Dome. Workshop participants all agreed on the need for governments to engage in a national information and consultation process, as well as on the need to unite under a common strategy in order to seek proper management measures for the natural resources found in the Dome. The second workshop on this same topic is scheduled for early 2019.